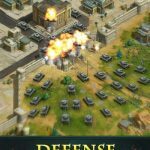 Camel Games, Inc., the gaming company behind the successful real-time strategy title, War and Order, released yet another castle-building strategy game of epic proportions, Titan Throne. 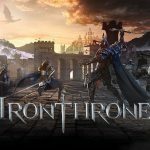 With stunning 3D graphics, an enormous content, and a variety of customization possibilities that make way for a wide array of tactical options, Titan Throne is not just a game both fantasy and real-time strategy game fans will love but it may offer something enjoyable for gamers new to the genre. In Titan Throne, you begin the game by choosing one of four races available: humans, orcs, elves, or the undead. You are set as the commander of your castle in a dangerous realm where everyone around can be your enemy. As you ceaselessly gather resources and continuously upgrade your castle and train your troops, heroes you gain along the way can lead your armies through various quests and missions. 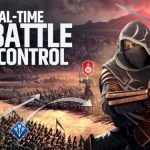 As battles around you wage on every minute, you need to seek an alliance with other commanders to bolster your castle and troops’ growth, as well as find reinforcement for joint attacks and support for when you need to defend. As your castle and army grows stronger, you draw steps closer toward the ultimate goal, to reach and claim the Titan Throne! Titan Throne offers a quick tutorial to get you started on your journey. Though short and somewhat lacking, the game has a lot left for your own exploration and trial. Given the sheer size of the game’s content, as well as the familiar yet unique upgrade and enhance systems common to strategy and fantasy games alike, Titan Throne can be somewhat overwhelming to learn at an instant, especially to players who are relatively new to the genre. Whether you are new to real-time strategy and castle-building games and are confused on what to do and how to go about it; or a gamer who has played deep enough into the game but still looking for more efficient ways to go about it, our Titan Throne beginner’s guide can help you survive the harsh realm in the game, as well as dominate each and every battle you engage in. Short after the introductory battle demonstration, you will be asked to choose one of four races before you are plunged into the game. There are short descriptions for each but clicking on the (?) button on the upper right corner of the screen will give more detailed specifications of each race’s strengths as well as the troops they can have. You might be inclined to wonder at this point which from among these races is strongest. Truthfully enough no one can tell you which one to pick as the best one depends on which class suits your preferences and play style the best. It’s very important at this point to really read through the explanation well before deciding which race to choose as you will never be able to switch races past this point. Like in other games that have different classes or races to choose from the most basic one fit for beginners and intermediate players alike would be humans. Humans are pretty much balanced considering overall strength and defensive capabilities. In Titan Throne, humans have high morale and have support spells like healing and buff. In general, there’s an equal distribution between close combat and ranged troops but damage is mostly physical. The orcs, as portrayed like their traditional incarnations in other games, focus on brute physical strength and nothing more. orcs in Titan Throne potentially have the strongest physical attack and specialize in close combat melee battles; they can deal high physical damage and can take on a lot of beating as well due to having higher-than-usual health points. Elves are somewhat the polar opposite of orcs. A usual fantasy fan favorite, elves are popularly known for powerful spell-casting, superb agility, and unparalleled range combat superiority. In Titan Throne, these usual traits are present as well. In general, Elven troops in the game boast strong ranged attacks as well as high levels of luck. Lastly but definitely not the least, the undead race, which is a common favorite as well, do not possess any particular superiority as far as statistical attributes are concerned. The undead in Titan Throne specializes in spells that weaken or incapacitate enemies. Most troops in the undead roster can last through long battles as they can sustain their health due to life-drain abilities. You will initially dive into the game following a series of quests which mostly involves building the initial structures of the castle that you will later on upgrade one by one. As some of these structures produce resources that are needed to upgrade everything, you may want to prioritize these over the rest. As soon as you can, provided that you will also spend time in the game enough to make it worth it, use the golden hammer to have an extra hand in performing upgrades. As this will only be in effect for 24 hours, it is best to use it only when you are certain that you can make the most out of it. 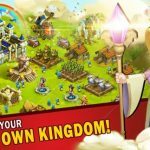 Aside from continuous upgrading, you should also ensure that you’re always actively doing research on both Technology and Spells as these help boost the growth and development of your castle and troops. Feel free to read the description on each technology research item as some may be more important initially than others. Later in the game you may want to highlight locked items and determine what you need to build and upgrade to unlock it. Lastly, keep training troops for as long as your gold can sustain it. Initially you may have an overflow of troops but later in the game you will need every able soldier to strengthen your heroes and defend your castle. Each unlocked tier of troops must be continuously training but as far as priorities are concerned focus more on what you are using with your main hero. Like any online multiplayer game with a guild system, Titan Throne has an alliance system which has plenty of benefits to offer to any player. You can easily apply to join an alliance in the game, and you may even get an invite from actively recruiting ones. As always, you have to be a bit selective when choosing which alliance to be a part of since it is difficult to jump from one to the next. Additionally, these will be the people you’ll expect to fight and defend with you throughout the game, so you might as well get it right the first time. Check for number of members as well as overall strength as these are the only indicators you’ll see before choosing which alliance to join. Everything you do as a member of the alliance contributes to the general welfare of each member. So on top of making donations to the guild and helping everyone with their building upgrades, you should also participate in joint ventures and battles as much as you can. Relative to the concept of a balanced gaming experience, no hero can claim to be better than others as much as no race is above the rest. What matters is how the hero suits your preferences and play style in synergy with the spells you choose to equip it with as well as the troops you prefer to utilize. In Titan Throne, this can hold true as well especially if you know how to fully utilize your preferred hero. As you may acquire several new heroes as you spend time in the game, it’s generally a good idea to invest in your starting one. Though knowing that you may get a more suitable hero later on, investing resources and materials on more than one hero can be very difficult. If you plan or choose to shift to another hero then be sure do it a little early on. Keep an eye out as well for the red dot indicator on the hero icon. It means that an enhancement or upgrade can be done to your hero. As an additional source of materials you need for the seemingly never-ending upgrades, you should occupy resource spots scattered across the map. Depending on your castle’s level you can occupy a number of different spots consecutively. Unoccupied areas need to be captured first and depending on the strength of your marching army, you can search for a suitable level of resource spot close to where your castle is and occupy the same. Capturing resource spots consume stamina but collecting resources from it requires nothing. Once you occupied enough resource spots, continuously spend stamina on searching and fighting monsters around your castle. Be sure to check the monster’s battle power compared to yours as a huge gap in their favor may result in a loss. Just make sure that you leave your stamina close to zero before closing the game, as the rewards you get here are quite useful and stamina replenishment is quicker than you would expect. While waiting for building upgrades, researches, and training to finish and while replenishing some stamina to explore the outside world, jump into an adventure quest and progress it as much as you can. There are many great rewards here that cannot be earned as easily anywhere else. Keep in mind that these doesn’t cost stamina as well so you can battle enemies here and progress as long as you can defeat them. While it will come to a point when an enemy’s battle power is greater than yours, manually using and timing the spells you cast coupled with a good enough troop formation can still win you some battles. Do not fret though if ever you lose a battle, as it is inconsequential. On top of the immediate rewards you get from defeating each enemy and clearing each chapter, you will also get resource rewards from each cleared chapter daily. So the sooner you clear most of the chapters the better it is for you on the succeeding days. Upon starting Titan Throne, you will have 72 hours of invulnerability from attacks of other players. This means you will have 3 full days of freely upgrading your castle and strengthening your army without worrying about unsuspected attacks. This also means that you won’t be able to launch an attack against anyone as well. If you followed our guide up to this point and kept no production line idle, having nothing better to do at this point can mean that it is a good time to look around the map for potential threats as well as targets. If you find more of the former, scanning locations and searching for more viable locations once the shields go down is a good way to go. More importantly, as the first days of play are the most important, don’t hesitate to use speed boosters whenever you feel that you need to. By this, we don’t mean for you to use them to speed everything up but rather, use the speed ups strategically by bringing in the completion times closer to another so you can queue in new ones before you log out of the game. This may also apply if you desperately need to boost the strength of your army and require stronger troops immediately when you can’t afford to wait as they may take a lot of time to train. In any case, you can also purchase peace shields later on in the game when you are in an uncomfortable spot and predictably a target for some players around you. What’s important is that you stand ready for an attack whenever you don’t have any. Most especially on the first week of your dive into Titan Throne, there are certain events that aim to help you boost your castle and army’s growth and development a lot faster. It may be difficult to notice these so be sure to always check on the icons from time to time. While you can earn a lot of rewards by simply playing through the game normally without even paying attention to the objectives you need to meet, you also need to take note of other objectives you may have missed. While daily quests focus on meeting certain selected requirements to claim treasure chests, the 7-day quest event has a set of daily objectives that must all be satisfied to claim the ultimate reward. As this is more challenging and the difficulty grows one day after another, keep in mind that the end reward here is worth the sacrifice if you really want to stay ahead of the crowd. On top of collecting taxes form your castle’s market from time to time; make this an opportunity as well to see what’s on sale on the black market. While items sold for gold may probably be useless, the ones sold for diamonds can be well worth it. Of course, in any game with special currencies, you will always prefer to save your diamonds for later but in some cases, you may come upon an item that you need very much and at the same time, you are certain that you may not as easily find it anywhere else. Keep in mind as well that you can continuously earn diamonds from quests and events you participate in. It may happen that your precious Peace Shield is still up but you are already itching for a taste of PvP battle and want to test your army against another player’s. After spending some time scanning the surrounding area and naturally selecting potential targets of an assault, you are confident that you can already win battles just by looking at the opposing castle’s level. Be wary though, succeeding on an initial assault is just the beginning of a series of battles that will come your way. For one, you should remember that your Peace Shield will immediately be gone once you decide to attack or even scout an enemy’s castle, thus leaving you open for attacks from a stronger opponent or a couple of weaker ones assaulting in unison. If you feel that you are ready to attack, therefore, it should also mean that you are even more prepared to defend against potential assaults and beyond that, you are equally geared up as well in the event of losing a battle against your castle. For starters, you may want to move in closer to where your fellow alliance members are. Being in close proximity to several alliance members not just keeps you in a better defensive position, it also gives strategic advantage if your alliance rallies an attack against an opponent or group of opponents. If you are surrounded by your alliance buddies then enemies practically need to get through them before they can reach to attack you, unless they are all offline. In any case, relocating your castle to where the alliance is offers nothing but advantages. In terms of preparing for the worst case scenario, you should make sure that your depot is among your priorities as far as structural upgrades are concerned. The higher the level of your depot, the more resources it can safeguard against pillaging enemies in case a successful assault on your castle has been made. Additionally, you can also save some of your troops by assigning them to embassies across other alliance members. Be sure to scout an enemy’s castle before launching an actual attack as the information it provides is a lot more detailed than what you’ll receive from just checking the player’s information. And this ends our Titan Throne beginner’s guide. We certainly hope that you enjoyed reading it as well as learned something new.. In case you have additional tips, cheats, and strategies for Titan Throne that we forgot to mention or just want to share your thoughts about the game, feel free to leave us a message in the comment section! How can I improve my resource plunder load limit?